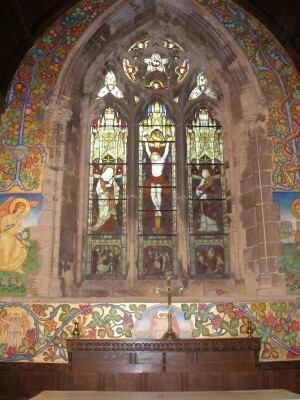 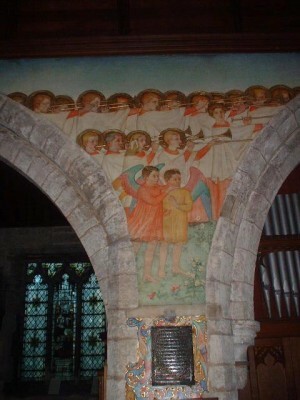 The chancel is decorated with fine murals by the renowned Scottish artist Phoebe Anna Traquair 1852-1936. 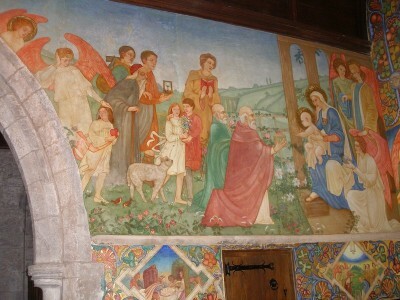 The murals were completed in 1905. 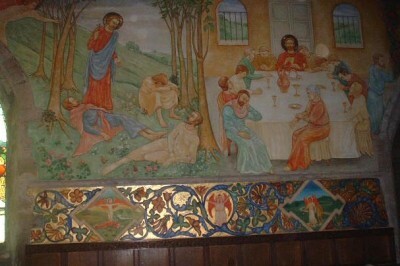 The wall paintings were renovated to their original splendour during 1996 by Elizabeth Hirst, an internationally acclaimed art restorer.